Yes, these are “crumble bars.” But how can a crumble also be a bar? you may ask. Well, I have good reason to call this both crumble and bars. Half of the crumble mixture is pressed into the bottom of the pan to make a nice, firm crust (or bar-base, if you will). The rest of the mixture is crumbled on top of the apples (which are sandwiched in between, in case you hadn’t figured that out yet) and falls apart a bit when the bars are cut out. So “crumble bars” they are. No butter and a healthy dose of oats and whole wheat flour, not to mention the apples and almonds, mean that these are packed full of health. There is just enough sugar to give them dessert-like sweetness, but not so much that you couldn’t eat some for breakfast with yogurt on top. Try them yourself and tell me what you think! Preheat the oven to 350F (175C) and lightly grease a brownie pan. Chop the almonds and slice the apples. In a large bowl, whisk together the first 5 ingredients (through cinnamon). Stir in the oats, brown sugar, lemon zest, and almonds. Add the oil and water to the dry mixture and work it in with your hands until a coarse crumb forms. Press 2 cups (about half) of the crumble mixture into the bottom of the pan. 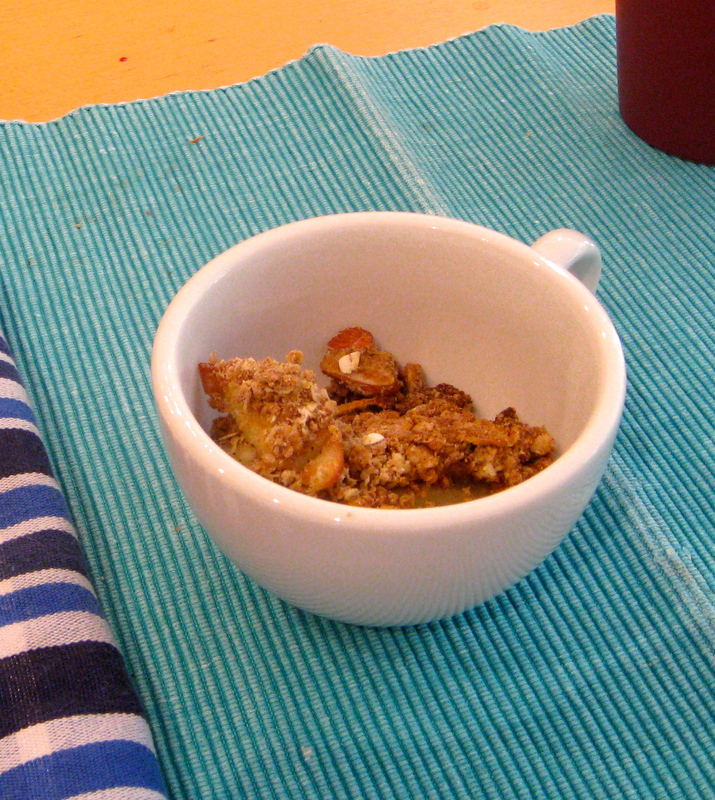 Arrange the apple slices on top, then sprinkle the rest of the crumble mixture on top and press down gently. 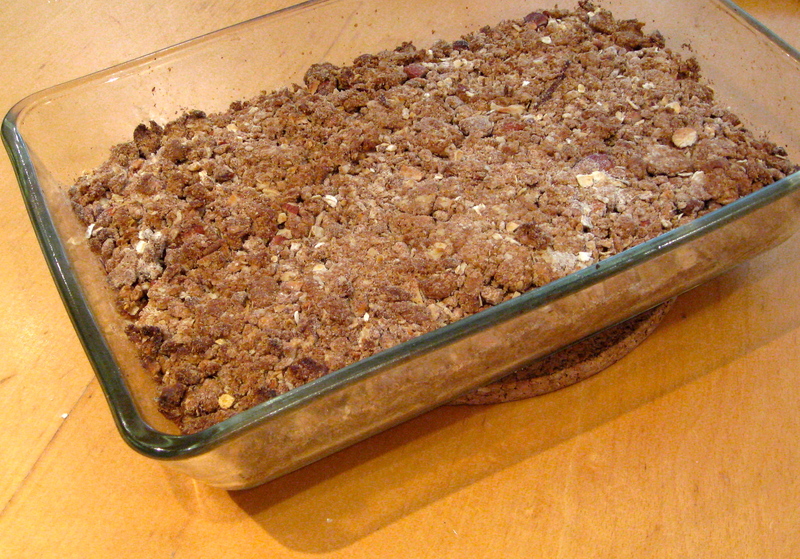 Bake for 30-35′ or until the apples are bubbling and the top is just browned. Let cool and serve plain or with a dollop of ice cream or yogurt. This entry was posted in food, health, pictures, recipes and tagged breakfast, brunch on 07.06.2013 by taplatt.